The approximate average monthly cost for Arizona Spring's Adult Care Home I is around $2,902. This is above the Phoenix estimate of $2,438. The average expense across the State of Arizona is around $2,363, which is below the nationwide average of $2,625. Arizona Spring's Adult Care Home I is situated near by the Paradise Valley area of Phoenix, Arizona. They are a care home community catering to seniors. The area around this community has a medium-density population, with about 19,157 people in the 85028 zip code. It is a predominantly upper class area, with an average per-home income of $76,242. The residence is located in proximity to numerous local amenities, such as healthcare services, shopping, and religious services. There are dozens of pharmacies within 1 mile of the community. They're located only 4.1 miles from Paradise Valley Hospital. There are also multiple churches within 4 miles, including Church of the Valley, Antiochian Orthodox Church, St Joseph's Catholic Church, and Evangelical Sisterhood of Mary. 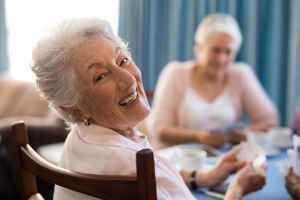 Arizona Spring's Adult Care Home I offers small group home care. They can provide care for those who want to reside in a small group setting and who need some extra help.